Hi everyone! Happy Monday! A new linky party has started up over at Paper Issues called Mum's the Word. Our wonderful sponsor is Doodlebug Designs. Doodlebug is one of the first companies I learned about when I first started scrapbooking and I've loved them ever since. 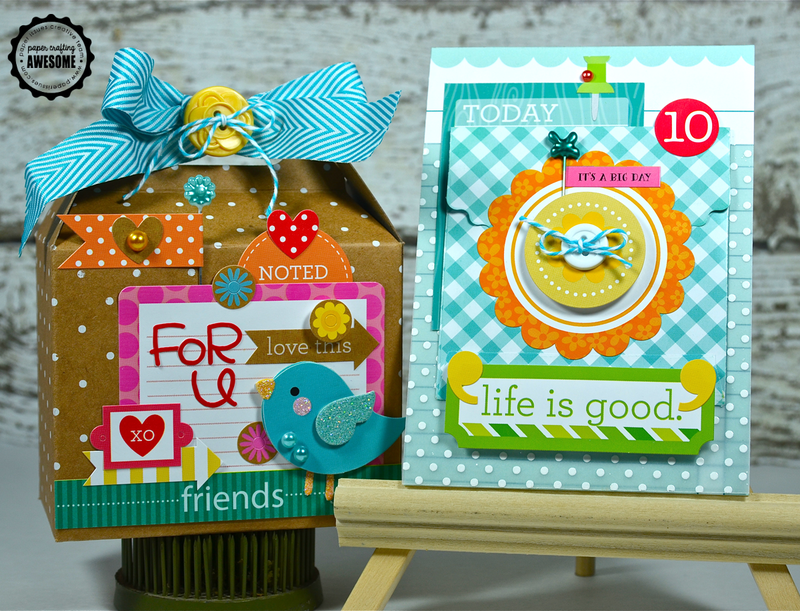 I created two projects for this linky party, both using Doodlebug's new Kraft in Color collection. I'm sharing one today and I'll be sharing the other later this week. First up is this adorable, little gift box. The box itself is pre-made. I bought it at Target, in the gift wrap section, and altered it. This is so cute Lisa! this is absolutely darling! LOVE that little bird! Love your gift box, Lisa! OMG this is so adorably cute! Love the DB bright colors on the white polka dotted box. Such a super sweet box, Lisa! So adorable and Doodle bug is so much fun. Love the box. So darn cute! Love the bright happy colors! Doodle Bug + Color = awesome! Love that box! Your gift box is so cute, Lisa!! 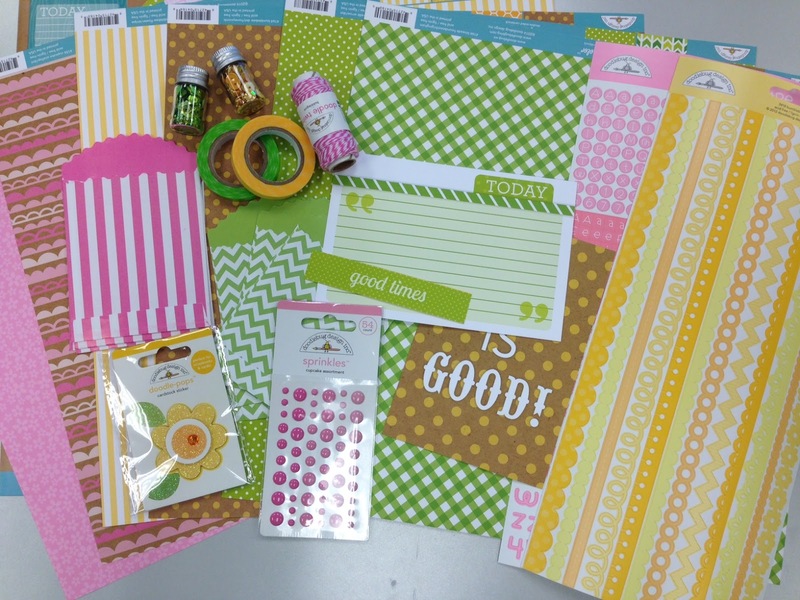 Great use of the fun Doodlebug products!! So, so cute! I adore that birdie. Sooooooooo cute! LOVING the bird and the colors!!!! This is just simply adorable, Lisa! SUPER CUTE gift box Lisa - LOVE the Kraft & LOVE the colour!!! So darn cute! I love what you made. Thank you for being awesome!!!!! So cute. 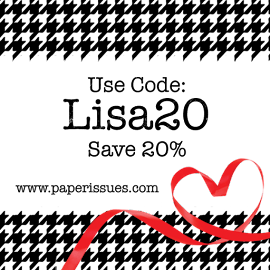 LOVE that ribbon!! This box is very cute! I loved!